Think of your earliest memory for me, will you? It may be foggy, hazy, not quite clear. But that early memory won't ever leave you because it's the very first piece of information your brain grabbed hold of. I have a few, and the fact that none of them are particularly unusual or extraordinary tells me that they must be legitimate and not pieces of stories I've heard or things I've dreamed up. An ad for a much older, but equally unattractive wagon. 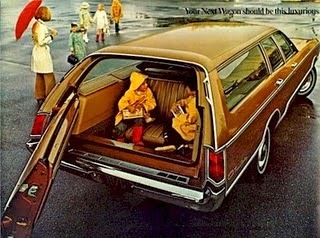 One such memory is of playing around in the rear-facing bench seat of our yellow paneled Buick station wagon. Stories like that astonish my kids-- the very thought that children would ride around without car seats or seat belts is as mind-blowing to them as is the idea that my parents would purchase such an eyesore. 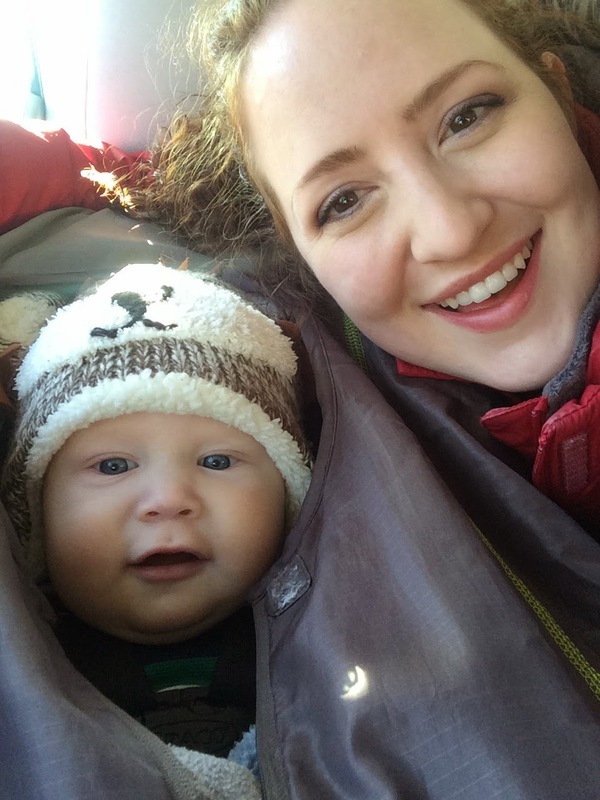 Thinking of that early memory made me realize just how restrictive and, lets be honest, how ridiculous the car seat laws and recommendations have become in recent years. 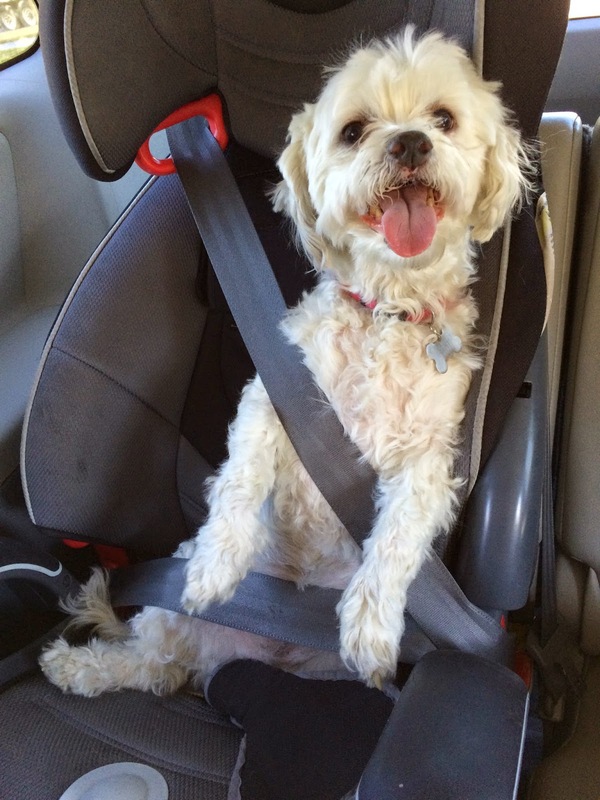 If I were to follow the government's advice implicitly, my children would be in middle school and nearly five feet tall while still buckled into a booster. I am a pretty busy person. I'm chauffeuring children all over town, getting groceries, running errands, etc, and if I had to stop each time to physically remove all of my car's occupants, the kids would be late for their activities, the groceries spoiled, and the errands irrelevant. I might take a little flack for this, but from now on, I'm just sticking to the seat belt provided with my van, and my own driving skills. It was sufficient for me as a child, and if making this change makes my life easier, well, isn't that worth it? I'll keep Adler in his car seat until the end of May when he's one, but since he's perfectly able to sit upright, I think it will be a good time to make the shift for him as well, and if he's anything like my bigger boys, he will just be relieved. If anyone is interested purchasing our old car seats, I will have two gently used Graco car seats for sale after Adler's birthday. I am going to be keeping Cael's, however, because we have discovered that Oscar fits perfectly and when I take him with us for outings, I plan to strap him in judiciously. I wouldn't want him to get hurt, after all. So join me, and throw out your children's car seats! Rid yourself of these ridiculous government standards, and allow your kids to experience the freedom (and occasional whiplash) of a simpler time! Oh... and Happy April Fool's Day.